Basic hygiene procedures for massage: the patient, massage therapist, equipment and facilities. The main purpose of massage procedures. The patient's position during the massage. Features and tips during the massage at home. Basic – 13 000 Rub.. 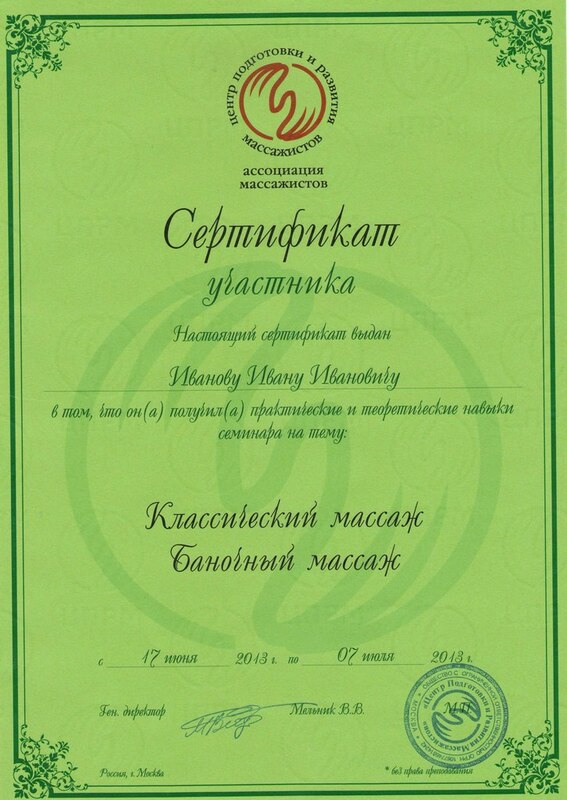 Individual training – 36 500 Rub. VIP-client (individual classes) – 43 800 Rub. Courses are held on the classic massage program, recommended "Association of Massage Therapists". Details about the massage with TSPRM in methodological manuals on classic massage. Equipment and supplies for the practice at the center free of charge. Classical massage technique and classical massage techniques will be absorbed better, if the acquired knowledge will also be secured and at home, – so the company CPRM at the seminar provides the personal use of his students professional massage tables.